Remove lead paint. Restore building while meeting requirements of the Back Bay Architectural Commission. Owners of $2 million condominium units wouldn’t be pleased it they had to deal with water damage caused by a lack of building maintenance. So at the first sign of trouble, the Board of Trustees at 242 Beacon St. and Property Manager Annie Stefanelli of The Stefanelli Company developed a plan to restore the prestigious nine-unit condominium. The board divided the restoration project into two phases, tackling the rear of the building first, then the front the following year. The job was a challenging one. 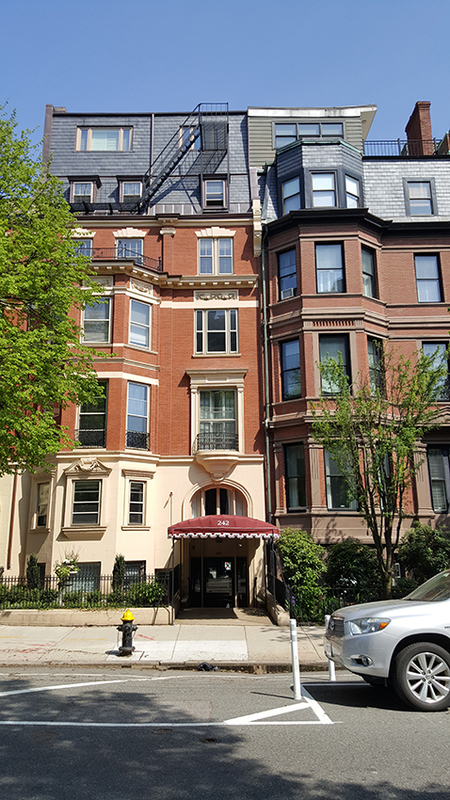 In addition to providing a quality restoration without disturbing residents and neighbors, and working in an area with heavy traffic, Statewide RM had to satisfy the requirements of the Back Bay Architectural Commission. In the back of the building, Statewide replaced all lintels, window stills and fire escapes, repointed the brick, and restored the cantilevered balconies. The balconies had been painted with lead paint and Statewide subcontracted with Alpine Environmental to remove it, using a chemical peel. Removing the paint, though, “exposed a lot more conditions that needed to be addressed,” according to Stefanelli. When bids were sought for the front of the building, Statewide RM was the winning bidder again. 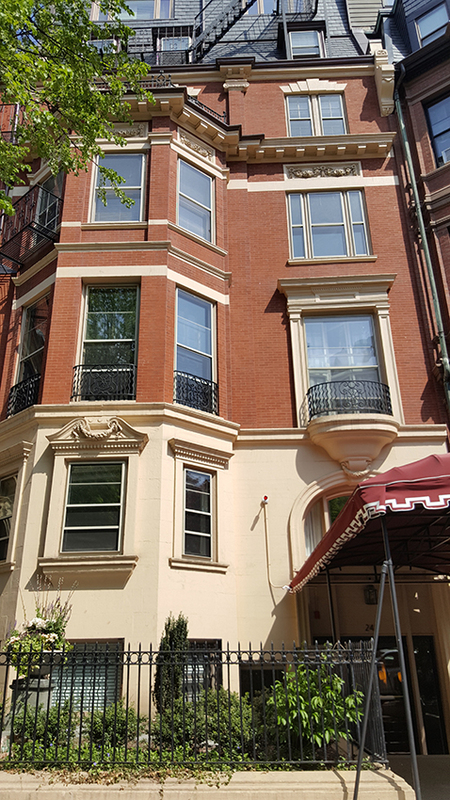 Phase two included repointing and sealing the brick front, restoring windows and casings, restoring the slate and copper mansard roof, and restoring cornice details. M.J. Ambrose was retained to restore the roof. One challenge for both the front and rear of the building was to match the current look of the mortar, which had changed over the years, and was different in the front of the building than it was in the rear. Any bricks that were being replaced also had to match the look of the existing bricks. Because the building is in a historic district, there was “zero margin for error,” Stefanelli said. Statewide President Kieran Fitzgibbon was up to the challenge. Given her previous experience with Statewide RM, Stefanelli was not surprised that the 242 Beacon Street project was a job well done.